The National Certificate Vocational qualification is a full year programme at each of the NQF levels of study. A student is issued with a certificate on successful completion of each level of study. In order to obtain a National Certificate (Vocational), a student is required to take a total of 7 subjects. These include the 3 fundamental subjects and 4 vocational subjects, of which 3 are compulsory and 1 is optional. 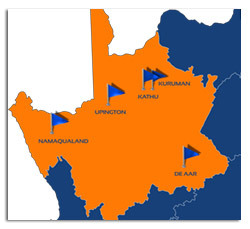 Upington College is the only college with a hostel but all our campuses have information of accommodation.